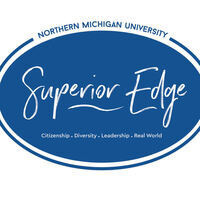 The main reason that Superior Edge is sweeping across the NMU campus is really quite simple. Participants can get recognized for the activities and endeavors they are active with both in- and out-of-the-classroom. There are four edges: Citizenship, Diversity, Leadership, and Real World. These edges each represent 100 hours of achievement in volunteerism, diversity awareness, leadership experience, and hands-on job experience. Join us to see how you can get started with this unique and innovative program.